Take the Family Apple Picking this Labor Day Weekend! Labor Day weekend is the unofficial start to the fall season in New England, and what better way to spend it than to go apple picking! Our pick your own apple orchard covers over fourteen acres of dwarf apple trees. These trees may be small in stature, but they produce large, delicious apples! The size of the trees also makes it easy for small children to reach and pick their own apples. 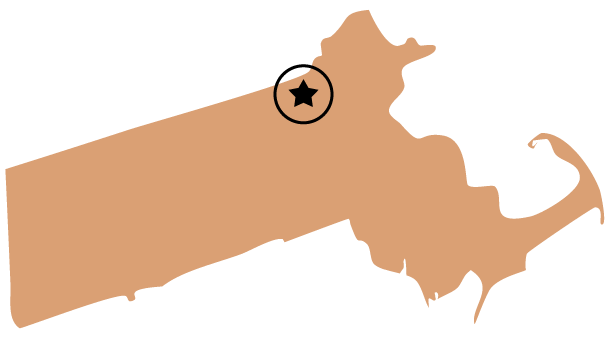 Apple season in New England is from mid-August through October. During this time period, we have over 20 varieties of apples available here at Parlee Farms including Macintosh, Gala, Early Fuji, Macoun, Cortland, Royal Empire, Decoster Jonagold, Cameo, Golden Delicious, Ginger Gold, and Mutsu. Even with all these great varieties, the most popular apple and the one that makes up over 30% of the orchard is Honey Crisp – a juicy, sweet apple with explosive crispness. It is usually ready for picking by mid-September. To find out what varieties are available for picking and fresh picked in our Farmstand, please visit the “Today’s Farm News” page of our website: https://parleefarms.com/farm-news/. On weekends and holidays (Labor Day and Columbus Day), a hayride to the apple orchard is included in the price of an apple bag. After picking your own apples, the hayride will bring you back to the Farmstand where you can watch our apple cider donuts (that were named “Best Apple Cider Donut in New England” by the viewers of NECN!) being made. 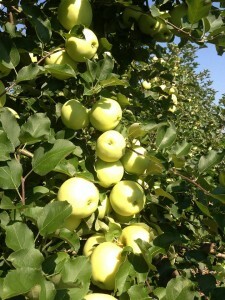 Apple picking isn’t all that Parlee Farms has to offer during the fall season. Mary’s Country Kitchen offers warm homemade apple crisp and hot cider, among other delicious fall treats that can be enjoyed at one of our many picnic tables. Annie’s Animal Barns includes two barns filled with young farm animals including baby goats, chickens, and bunnies to feed and pet. Farmer Mark’s Tractor Training Course is a children’s tractor ride that is for our young farmers between 42”-55” in height. The Hay Play Area is a space where kids (and Mom and Dad too!) can weave through the maze of hay bales and will be available in early September. Apple picking is a great New England family tradition and we would be honored to be a part of your memories!